Cambridge’s Museum of Zoology reopened in June 2018 after a multi-million pound refurbishment and several years’ worth of work. It is a fantastic place to take students and it is by no means the only world-class museum in our surrounds. Perhaps the most famous of the lot is the Fitzwilliam Museum, which boasts many international artifacts as well as paintings from Western Europe. Then there is the Museum of Archaeology and Anthropology, which has interesting temporary exhibitions. Other places of interest include Kettle’s Yard Gallery and the Scott Polar Research Institute. 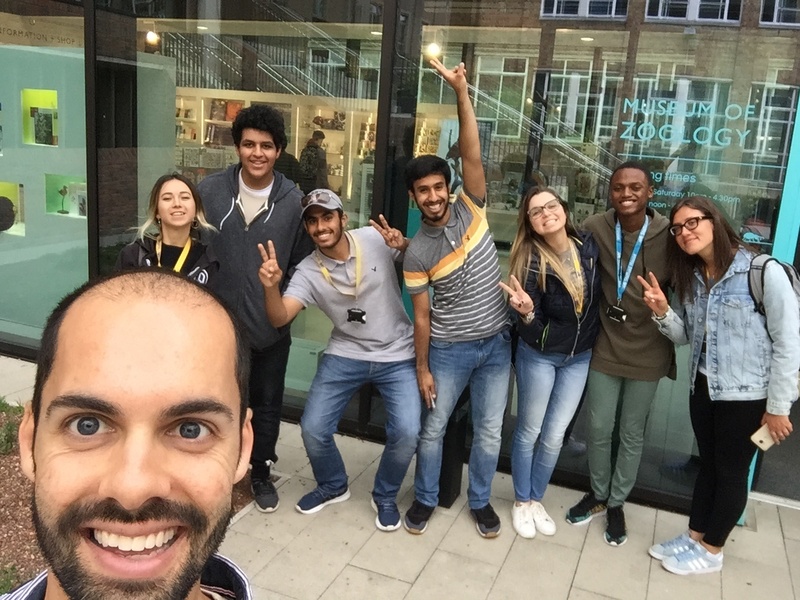 We at Stafford House Cambridge are based in the city centre and having all of these great cultural resources on our doorstep is great impetus to move learning outside the classroom. Our core lessons at Stafford House give students the chance to study for three hours every day with the same teacher. This allows for extended practice on language points, thereby consolidating learning and maximizing retention. 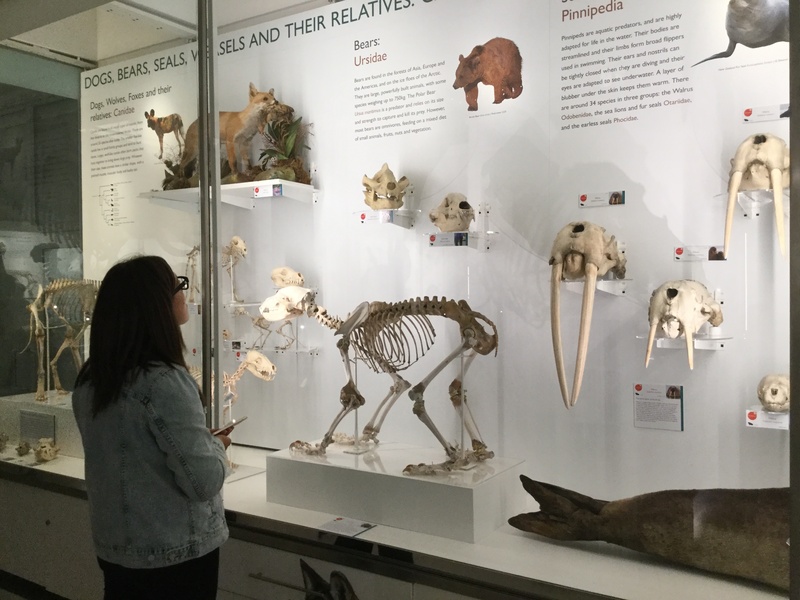 When my Elementary class were recently learning comparatives and superlatives, I thought, What better way to bring this grammar point to life than to visit the Museum of Zoology and compare the animals? This tied in well with the nature vocabulary we had studied the previous week and even introduced students to the learning styles of CLIL classrooms. The largest, and arguably most impressive, museum in Cambridge is the Fitzwilliam Museum. It houses vast collections of art and artefacts from across the globe. Breaking it down into digestible pieces can be a challenge, but there are inventive ways to use it as a resource. A couple of years ago, I taught a small Upper Intermediate class with students who all had a passion for Ancient History. Again borrowing inspiration from CLIL courses, we watched videos in class about Ancient Greece, then went to the Fitzwilliam Museum and took photos, ready to make a short presentation, putting the artefact in its historical context. On another occasion, after practising ordinal numbers with a module of Elementary and Pre-Intermediate students, I took them to the Fitzwilliam Museum and went on a treasure hunt: students had to take selfies with artwork made in different centuries. 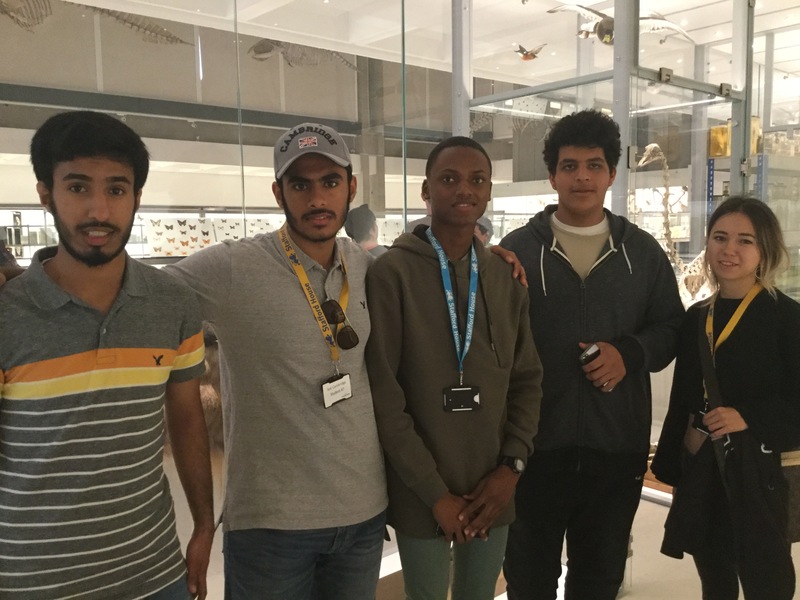 Trips to museums, even during class time, need not be restrictive in terms of outcome. The Museum of Archaeology and Anthropology has a permanent collection on its first and second floors and a collection of local history on half of its ground floor. The other part has temporary exhibitions, displaying art, artifacts and information on different topics of global interest. Some of the most rewarding visits here have been open-ended: allowing students to wander around and gravitate to anything which catches their eye. The homework is to write a summary of their thoughts as a review, or, for lower levels, a simple description. And one of the great things about the MAA, like the Museum of Zoology and Kettle’s Yard, is that it allows you to book a group visit free of charge. Kettle’s Yard is best visited when you know what’s on offer at that moment in time. The entire gallery houses a temporary exhibition, so students may have wildly different responses from one visit to the next. It’s situated in the grounds of the former house of art collectors Jim and Helen Ede. The house is open most days, but between exhibitions, the gallery of Kettle’s Yard is closed to visitors. Being just up Bridge Street / Magdalene Street, it is the closest cultural centre to Stafford House Cambridge: a mere five-minute walk. Last year, I had the good fortune to take my students to the Scott Polar Research Institute. Notifying the museum ahead of schedule, I was impressed to receive a link to various educational resources I could share with my students. As my class was of an Elementary / Pre-Intermediate level at the time, I had to choose wisely. But there was a lovely video of interviews of British scientists who had been on expeditions to Antarctica. We did an activity in class in which students had to listen out for key vocabulary words, before heading to the museum and seeing in person some of the objects shown in the video. There was a dress-up section at the museum and some students and I got into character. The visit left such an impression that one of my students later gave me a framed photograph of us as polar explorers as a leaving gift! Thank you Teacher Greg for giving us an insider's look into a day in your class!